The Beechcraft King Air C90GTx is the latest version of the King Air C90 series turboprops built by Beechcraft. The company is currently selling new King Air C90GTx turboprops. A Beechcraft King Air C90GTx for sale from the company directly is for a new order position. The cost of a new King Air C90GTx is approximately $3.8912 million USD or $3,891,200 USD at the "list price". Beechcraft is not using dealers to sell the aircraft. The company is using sales representatives to sell the the aircraft. A Beechcraft King Air C90GTx can be found on the used aircraft sale market. The GTx version of the King Air C90 series was launched by Beechcraft in 2009 and thus has been in the marketplace for a while now. 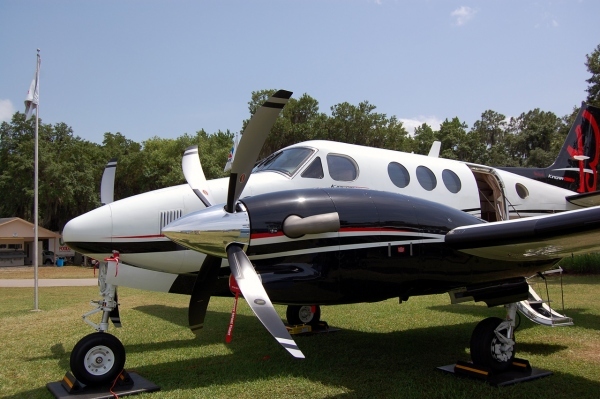 These used King Air C90GTx turboprops will sell for less then the new price listed above. In many cases the aircraft can be bought at a much lower cost then the new sales price. If you have a Beechcraft King Air C90GTx for sale, you can list it here at no cost. Contact our aviation resources team to learn more and get your King Air C90GTx for sale listed here.